Deborah and I made this stunning quilt together. 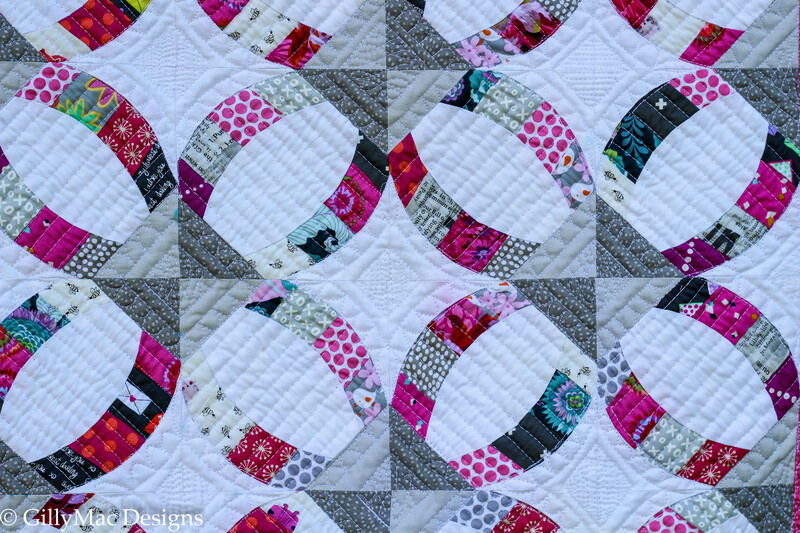 She did the hard work in the patchwork piecing and I got to quilt it, and whilst I wanted the background to be a brilliant white, she chose the wonderful colours that make up the rings. 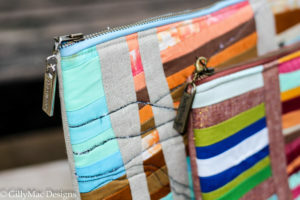 It was made using the Mini Quick Curve Ruler by Sew Kind of Wonderful. At the end of last year, I invested in a number of both the mini and full-size rulers for my classes. I really like working with rulers and teaching using good rulers. The best rulers are the really versatile ones. By that, I mean ruler with good markings on them so you can move them increments of partial inches and lines on so you can cut with the ‘on point’. 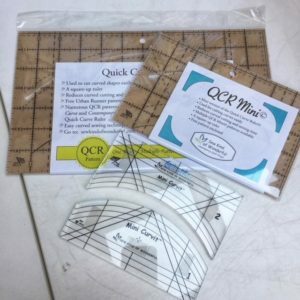 These rulers have all those features AND they have matching quilting rulers which are excellent for identically matching the curves, inside and outside of your piecing work. 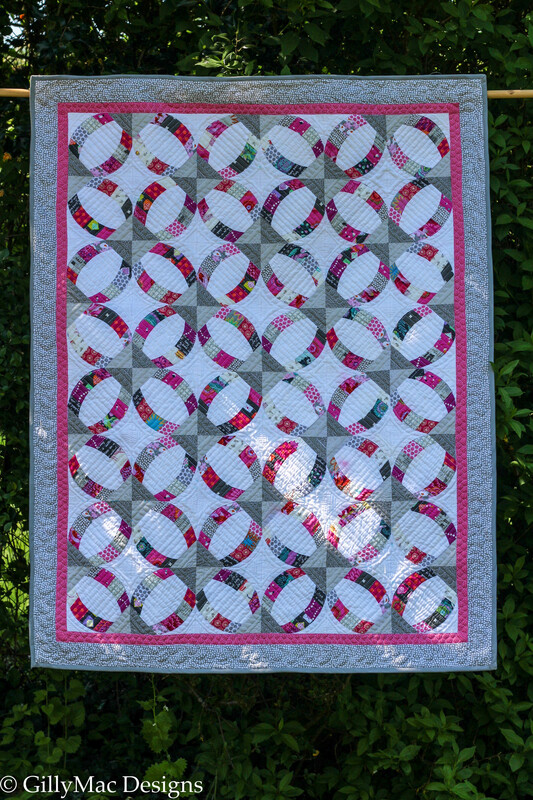 This quilt can be made using the larger ruler, but we chose to use the smaller one as I wanted to check out the suitability of this pattern for a cot size quilt – and it doesn’t disappoint. It is built using 2″ x 10″ strips, (for the larger quilt jelly roll strips are suggested). 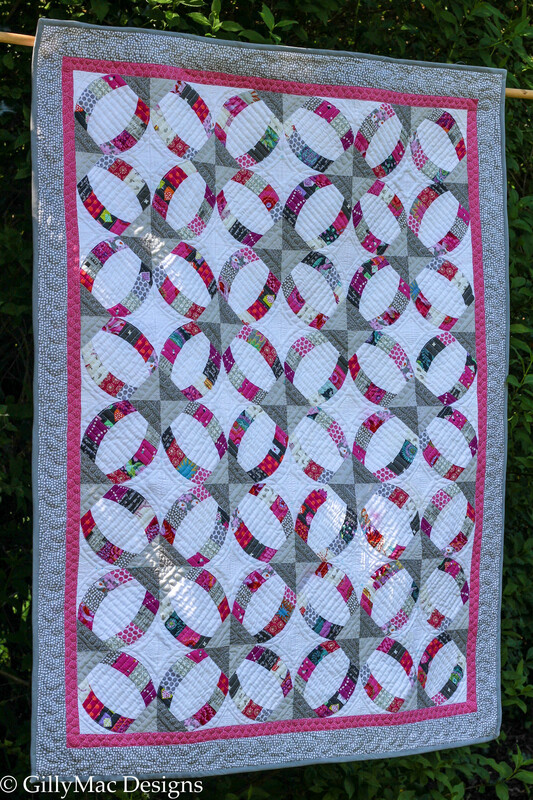 Although the pattern suggests using 20 10″ squares, in fact, we would recommend not bothering with this and just cutting up scraps, which are 10″ long, into 2″ slices. We found that the more colour tones we used and patterns we incorporated the more interesting the final quilt became. 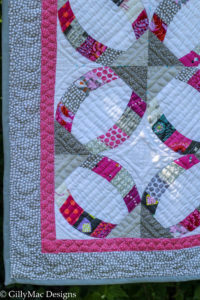 Fabric with smaller prints work best with this quilt as larger prints would get chopped up and lost. 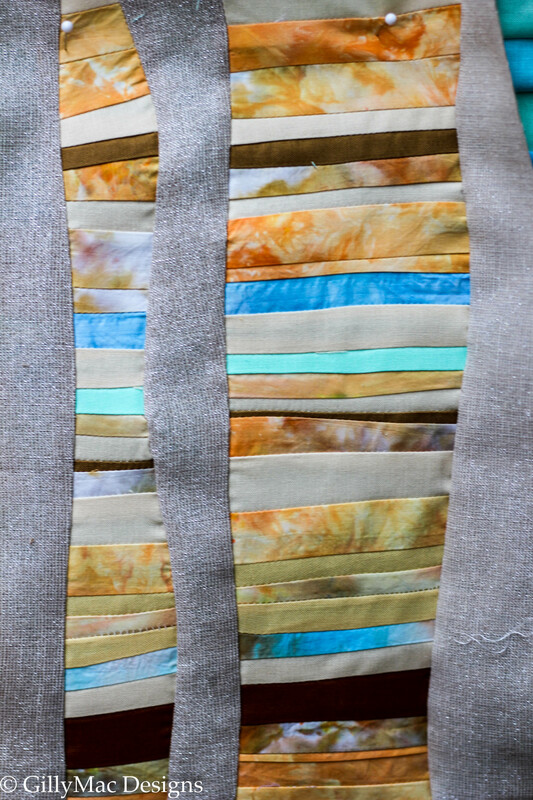 The strips are sewn together in batches and then cut cross-ways using the ruler. As with all our rulers, we added Handi Quilter gripper to the back of them to stop them slipping as we cut out the fabric. This is essential and the Handi-Grip product is the best one that I’ve found (and a little goes a long way). The rulers have a slot in them that you place the rotary cutter in and move it along. We did think the slot was quite wide, but if you are consistent with how you place your cutter then this isn’t a problem. More of an issue with the mini version Deborah was making, was that the pieces were small and partly bias cut, so were quite unstable. This meant that if you didn’t iron them they would curl slightly and not sew together well, but if you ironed them, even a little too vigorously, they would stretch and be useless. When you test out a quilt pattern, you are most often halfway through the patchworking build before the penny drops and we see how to get it working well. This quilt was no different and after a number of goes building the curved block only to find that they were too small, we tweaked the pattern to make it ‘full proof’. The choice of the colours used in the blocks joining the rings is really important. If you decide to make this quilt yourself, consider carefully what colour and pattern to use for these pieces. Deborah chose a Dashwood Twist in smoke and a Kona grey. 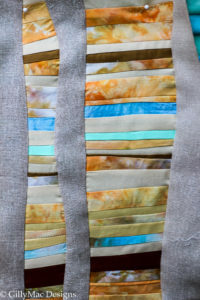 Below I have attached a free quick reference guide for quilting this piece. 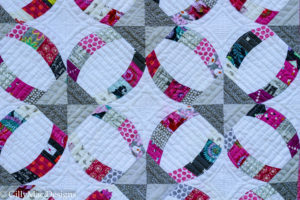 The correct quilting rulers make the job much easier and I enjoyed filling in the shapes I made with very basic designs. This was not a hard quilt to make look good. I am thrilled with this quilt. It would make a stunning baby gift or maybe one day I will get around to making the larger one for my bed! 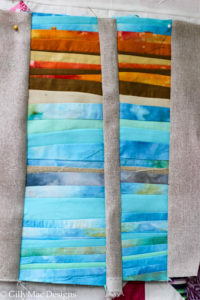 Sew Kind of Wonderful has lots of patterns using the quick curve rulers. The rulers themselves can be bought from Creative Grids, though I did have to buy the matching quilting rulers from Sew Kind of Wonderful in the USA. 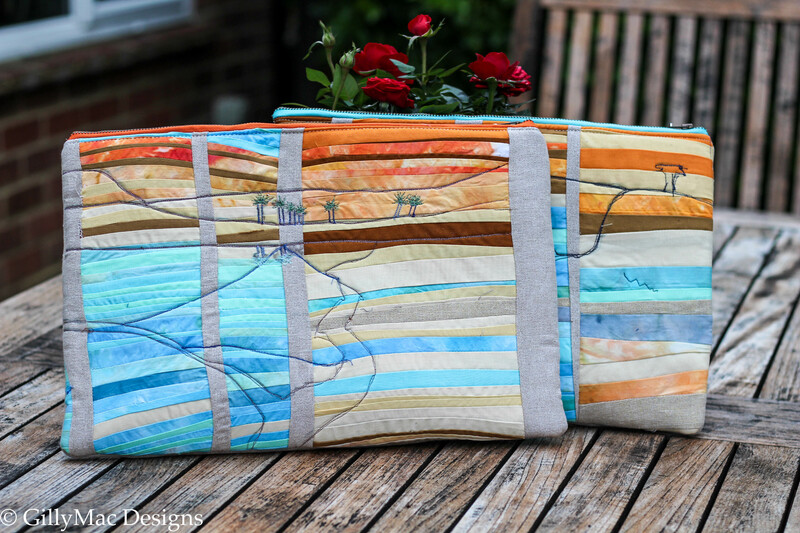 There are two classes this year to make this quilt… 20th June and 6th November, both classes are at my studio in Maidenhead and run from 10am -3.30pm – with lots of tea and homemade cakes – of course! Every student gets an original copy of the pattern to go home with. Earlier on this year the GillyMac Thursday evening patchwork and quilting group started on a project of Liberated Quilting, inspired by book of that title by Gwen Marsden. Our quilts started along the same lines as Gwen’s, but soon, as with all our Thursday evening projects, everyone made their own adaptations and the quilts all ended up in different places. Liberated quilting has few rules. You don’t need to quilt a 1\4” seam, you don’t have the iron your seams one way or the other, you don’t need to measure your pieces (in fact I would say you shouldn’t measure, but that would sound like a rule) and you don’t need to restricted yourself to any design and there are no patterns. 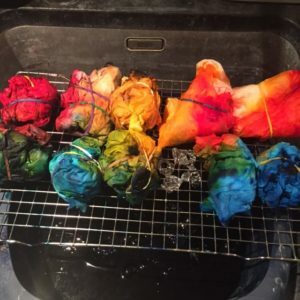 The one thing that I did suggest to the group was that after 4 or 5 pieces they should iron their growing artwork. With pieces, and small ones, at that being joined every which way it would be easy to get rucks and ripples caught up in the piece. Regular ironing allow you to check for this and adjust any mistakes, it smooths out your piece so you are unlikely to make such a mistake with the subsequent pieces and it is a natural pause and review point for you to consider where to go next with your piecing. 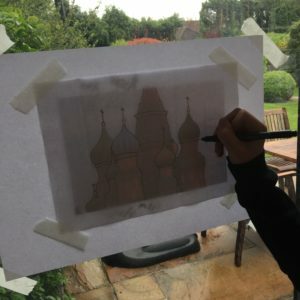 The use of colour was vital for me in constructing my own piece. 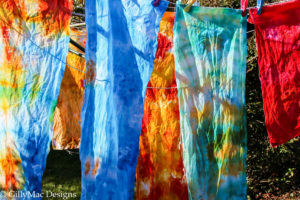 I chose fabrics with small to medium modern prints in vibrant colours. I grouped colours together and started off by creating wonky log cabin blocks in blue, or greens or yellows or reds or oranges. Whilst making the log cabins I alternated between strong colours and weaker colours in the colourway I was using. A great tip to check on how you are doing on this front it to take pictures of your cabin and turn them into black and white, In this way you will get a much better picture of the difference in strength of adjoining pieces. Having made a number of log cabins, I stacked them and cut them, rotating the pieces to make new blocks with a variety of colours, adding yet another dimension to my work. 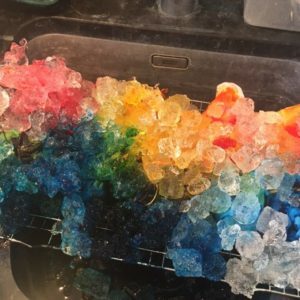 Another three techniques we investigated were “Free Range Geese”, “Liberated Stripping” and “One-of-A-Kind Stars” … I made up these names! 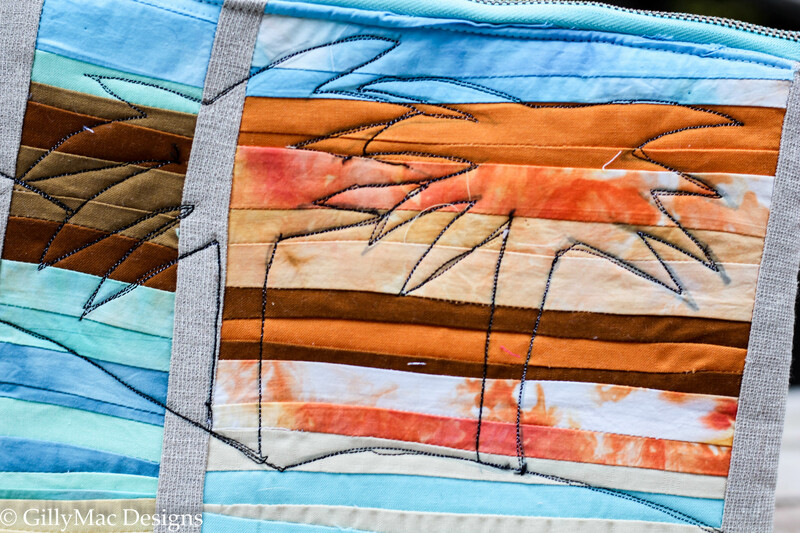 The geese were made by stitching and flipping pieces diagonally across a (goose) rectangle. The stars were a development of this. The points of the stars were made in the same way, except the diagonal pieces are over-lapped, and background square are added to the corners and for the centre of the star. 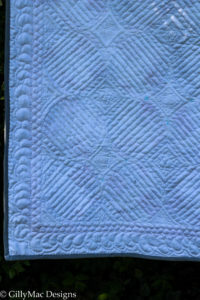 The Wonky Stars would make great centres for a Medallion styled Liberated Quilt. Finally, Liberated Stripping is really simple and very effective. Strips of fabric are sewn together ( foundation piece style) one onto the other onto the other and then shapes are cut from the resulting pieces and sewn together. After constructing the centre of the quilt we needed to make the borders. I made a number of sample borders for the class to work on and follow. For my own quilt I was inspired by Karen Lewis’s Blueberry Park fabric to use her black and white (ish) fabrics to create a striking frame for my quilt. I’m still working on this. If I am truthful, I have slowed not only because of my own workload at the moment, but also because I had no idea how I was going to quilt this piece. Often I find if I get ‘stuck’ with a piece, the solution comes eventually. 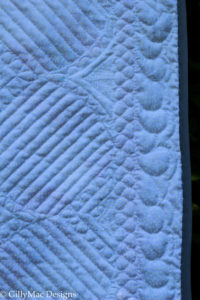 In this case, my thoughts are forming around a very simple quilting format. 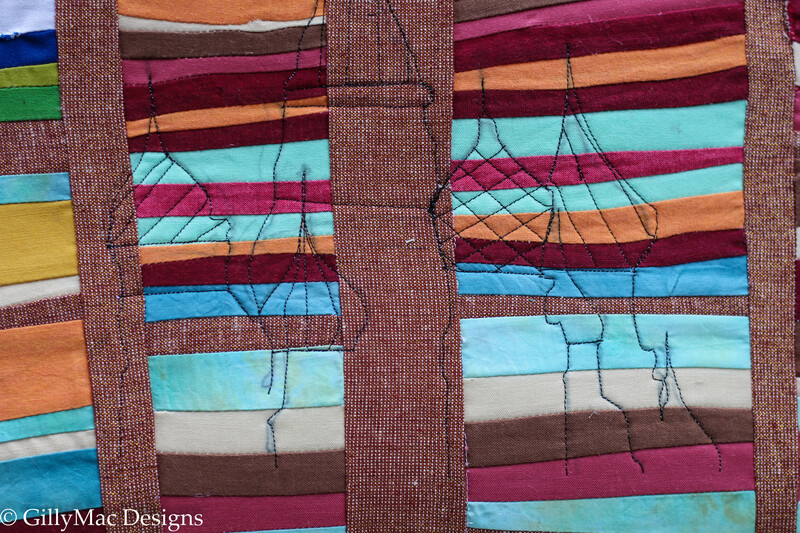 Using irregular shapes and straight lines to build up a liberated quilting framework to complement the piecing! … I’ll keep you posted on how this goes. For now I’ll end with the work of the Thursday evening group. Everyone of this group is a star and their work shines just as much as they do ! 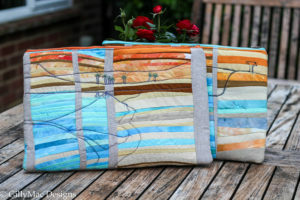 Recently I have been researching the world of applications for patchwork and quilting to see what’s out there. In teaching, I already regularly use a few, but I was ask to write an article for an online publication so I thought I’d share my top tips. Below you will find a mixture of free and paid for applications all for use in an IOS (Apple) environment. I’ve noted the version and latest development date, as this will also give you an indication of the progressive nature of the app. 10. Doodle Buddy (v1.7 2016) free – To improve you skills in free motion quilting you need to practice practice practice!! This isn’t always possible at the machine, but using your iPad or iPhone the Doodle Buddy app is like an Etch-a-Sketch (for those of us of a certain age ) allowing you to practice drawing out your quilting designs over coffee, in front of the TV, waiting for kids on the school run or at sport etc… This app is really useful and a must have. 9. Photo Pen HD – lite version (v1.4 2012) free – having practiced your Free Motion Quilting, (FMQ), now you need to decide how to quilt a real block or quilt. Using this app you import a photo of your block or quilt and use the app to draw your quilting designs on top of the photo. It’s easy and effective. 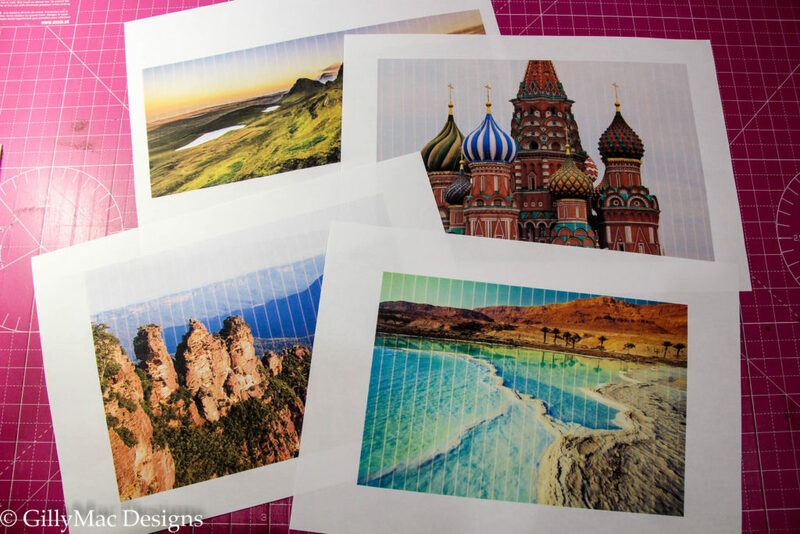 The resulting picture can be saved to your photo stream and printed out to have beside you as you tackle your project on the machine. Brilliant ! We use this application often in my classes. 8. BlockFab (v1 2010) – free. This is not a quilt design tool but is a library of 70 blocks that you can view in a number of preset colour combinations and as a group of blocks. 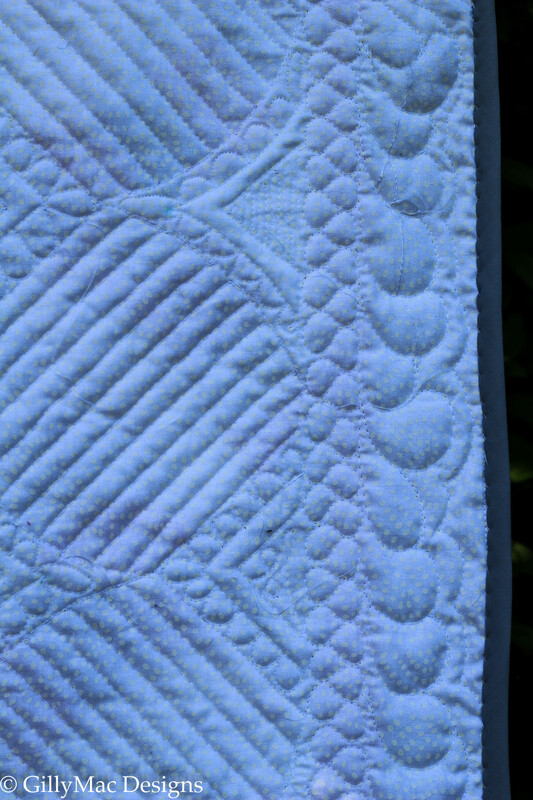 The app calculates the fabric required for a block, but not for a quilt. The most useful part of this app for me is the preset colour combinations, These are good colour mixes which I have used in other applications and for ideas for my own quilts colour choices. 7. Quilting Wizard (v1.0.2 2013)- £3.99. This is a low cost quilt design app that allows you to import your own fabric images and incorporate them into over a 100 different preset blocks. 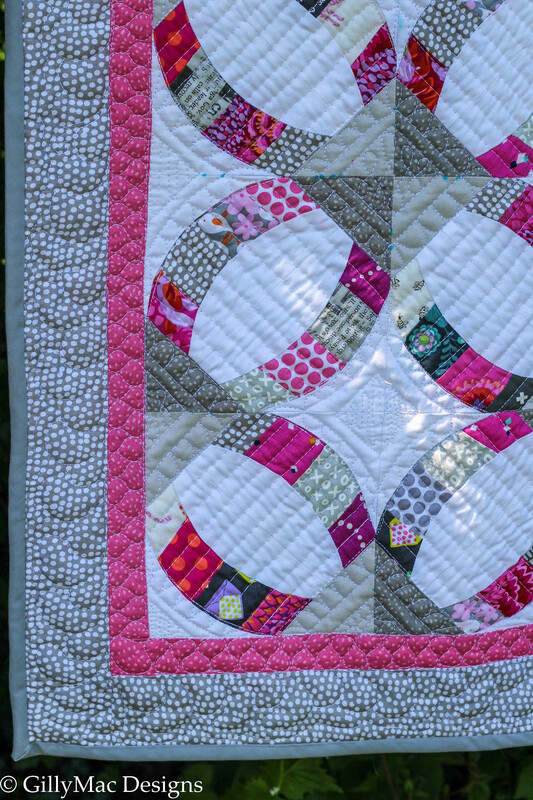 Quilts can be made square on or on point, with bindings and sashing options. Fabric requirements are generated, however there is no ability to created your own custom block design. 6 . ArtRage – ( v2.1 2015) – £3.99. Built for art drawing with a strong professional development team behind it, this app can be used for patchwork design as taught by Lady Sew & Sew (www.ladysewandsew.co.uk). With this application you are able to import pictures of your fabrics and build bespoke quilt designs (there are no preset blocks). Great for those artists among us who don’t want to be constrained by traditional blocks. 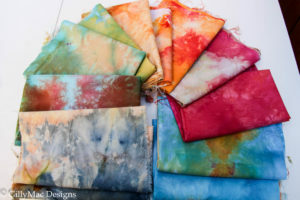 ArtRage does not calculate fabric requirements, but you should never rely on apps that do so without calculating fabric requirements yourself anyhow. If you want to use this app for P&Q you will need to go on the course, as currently there is no book or user notes for this use of the application. It is all very useful for free motion design practice as well ! 5 . Craftsy – (v3.3.3 2016) free – There is nothing like a face-to-face lesson, but coming a close second is the Craftsy platform. This is available on a PC as well, but the Craftsy app is designed for optimum use with Apple devices. Use of the platform is free and you purchase patterns and classes as you want them, however there is a plethora of free stuff available as well. Don’t be the last person to find out about Craftsy – it is great ! 4. QuiltingCalc by Robert Kaufmann (v2.3 2014) – free -This is a super useful free app. It calculates the best way to cut shapes from a piece of fabric, how much fabric is needed for backings, borders and bindings, as well as having many different basic measuring features. This is a really useful app to have on an iPhone which can be used in the heat of shopping ! 3. Free Motion Quilting Ideas ( v1.1 2016) – £2.99 – I bought the book first (Free Motion Quilting Idea Book)which is packed with ideas and practical applications for quilting basic shapes. 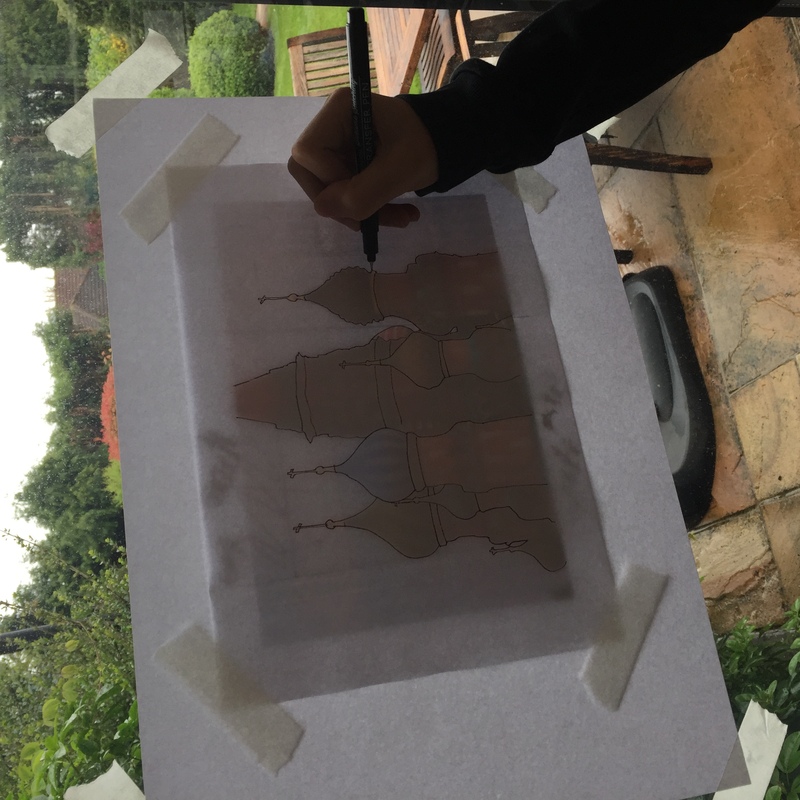 The app is just the same, walking you through 16 really useful basic designs and then developing your FMQ by applying those designed to triangles, rectangles, circles etc through the use of embedded videos (so there is no need for WiFi connectivity to use this app). 2 . Quilting Tutorials by Missouri Star Quilting (v2.3 2015) – free – I love Jenny from the MSQC she is very entertaining. This application is regularly updated with new classes, as if the 100s of tutorials and quilts already available are not enough. Each tutorial I’ve watched is engaging, and full of useful tips. 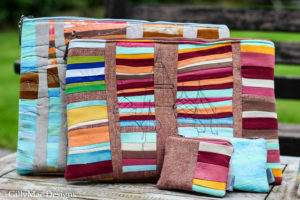 With this number of tutorials as well as the ability to order fabric via the app you could stay at home for years quilting with Jenny. 1 . Quiltography –(v1.41 2015 ) £10.99 – yes it is worth it. For the cost of a couple of magazines and a coffee, you will get hours of fun from this application. Use the extensive library of traditional blocks or build your own custom one on a grid size of your own choice. Photograph and import pictures of your own fabrics and create quilts with borders and sashing with customer or traditional blocks. In addition, for those of us who like pixilated quilts, the app allows you to import a picture, pixilate it using however many colours you wish, and created a pdf pattern for you to follow which includes fabric requirements. There are limitations, I find the fixed nature of the use of borders annoying, but all in all it is easy and enjoyable to use and has all you need to create some great quilts. So that it … hours of fun for you with these apps ahead ! Enjoy ! … and in you have questions email me at mail@gillymacdesigns.com.